I snapped this picture of my top 5 when Jer and I went away for the weekend for our 10 year wedding anniversary. We were getting ready to go down to the pool and I knew I wanted to share these products with you. Here’s my go to summer time makeup products & my current faves! Usually I don’t list in the matter of importance or favorites but for fun…if all that I can reach for is one product and then build from there is how it’s listed. Each product, except bronzer blush, you can click on for a direct link to where you can purchase or go down to your local Ulta or Sephora! Majority of my products that I’m loving, even for skincare, are from tarte right now…I don’t know what it is but they speak to me. One of my other staples is gimme brow by Benefit, they have the best eyebrow enhancing products if you are looking for something to boost your already beautiful brows! 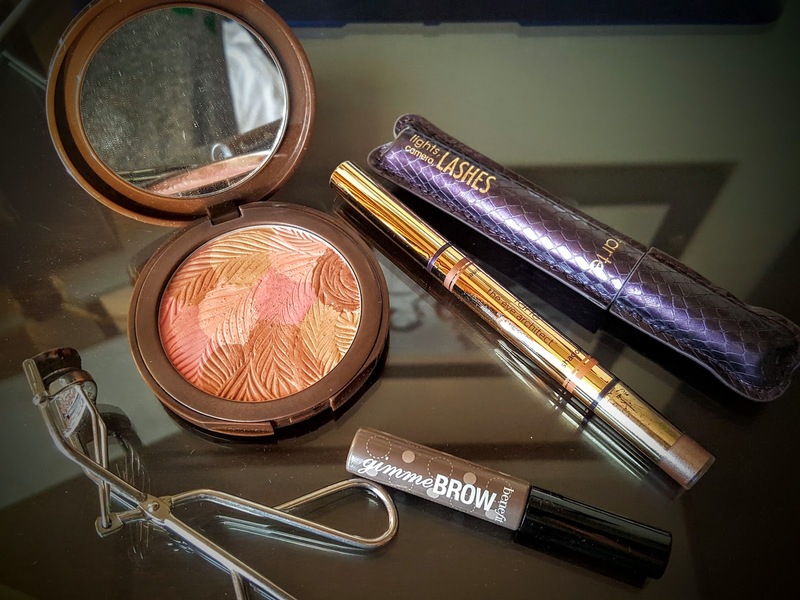 I used all the same 5 products above, in conjunction with others, to get a more glam look which you can check out here!